the sound. Well then who was? The same thing with the Temptations songs i.e. heavy rythmic bass lines. 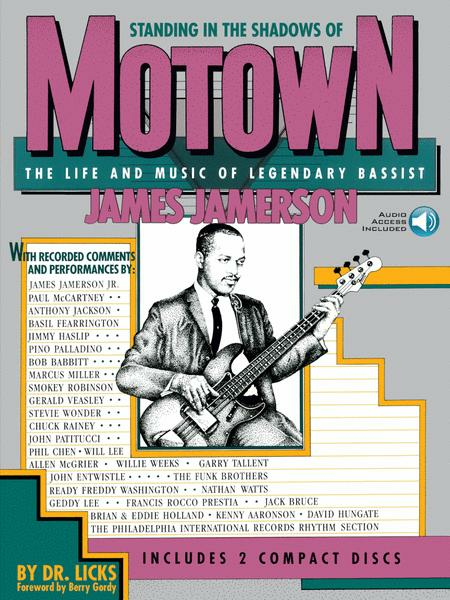 We asked who is this guy....now we know all about him.....The Great James Jamerson. woman does an outfit that shes wearing (she doesnt make the dress but she makes it appealing). And like this woman the memory of this can cling to your thoughts for minutes,hours, and sometimes even days. After learning to play the songs which are giving you in this book, a since of accomplishing a great task came over me knowing that I was able to feel as I was playing, that I held greatness in my hands matching him note for note. I strongly recommend this to novice and also serious musicians. May 28, 2002 Bass soul bible! basslines today and thing for yourself: -"That bass player must be influenced by Jamerson" You see his followers in bands like Tower Of Power and Jamiroquai. Go and see for yourself how Jamerson did develop the soulbass! If you liked this piece you can take a look at Francis "Rocco" Prestia's video "Fingerstyle funk" that will take you further in your soulbass progression.